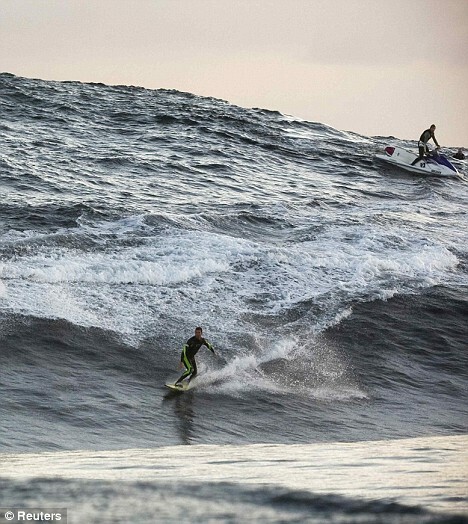 A daredevil surfer is pictured tackling a giant 41 foot wave in a bid to win himself a prestigious award. 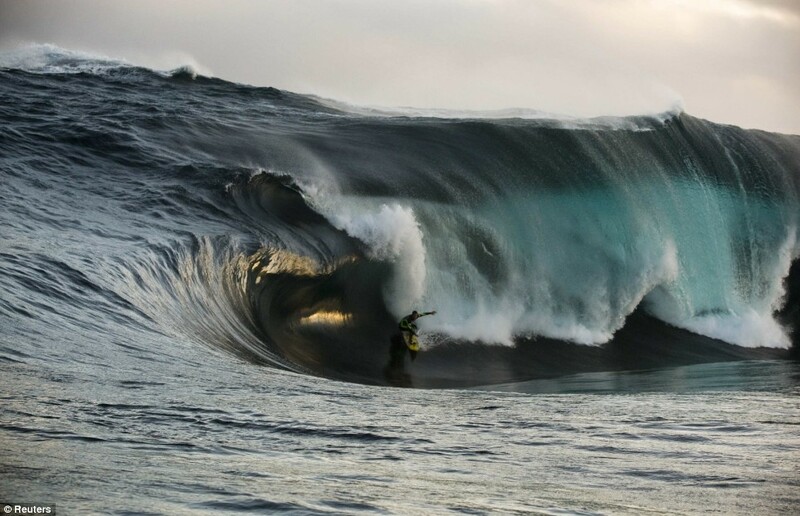 Kerby Brown took on the monster during a session at a top secret reef, and nearly didn’t live to tell the tale.Moments after these pictures were taken, he suffered a devastating wipeout which nearly killed him. He said: ‘Usually the wave never steps out or goes evil like that one, but it just went dry – the hardest wave I’ve ever had to surf.’I went straight over the lip and did about 10 backflips and then pulled a muscle in my shoulder. 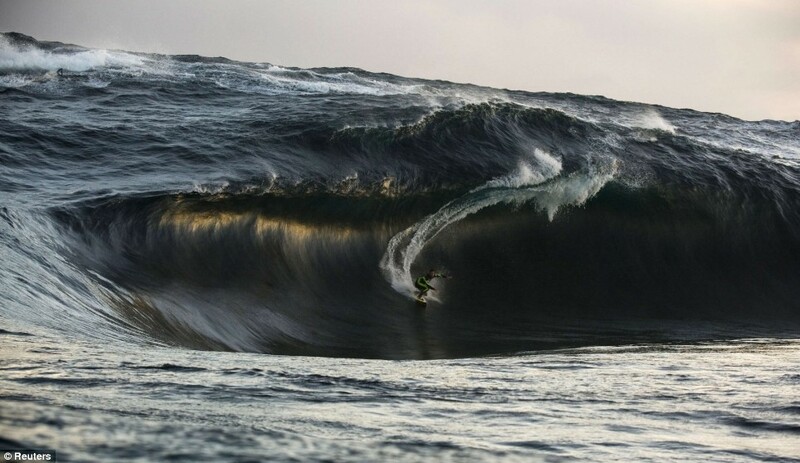 ‘It felt like I ripped my arm out of its socket, my leggie snapped and then I felt like I was the deepest I’d ever been.’The unbelievable pictures have been entered into the prestigious Oakley Surfing Life Big Wave Awards, which rewards the riders of the biggest waves in Australasian waters. Posted just for the pics. They look awesome.